Do you want an interactive game show to find out who is stronger?? who is smarter?? boys or girls????!!!!! 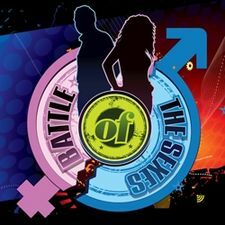 battle of the sexes game show is presented in the popular jeopardy style format on our huge projection screen with side curtains and our exciting stage set. our professional game show host will challenge the contestants with a mixture of history, pop culture, sports and fun filled trivia in a professional game show format. mixing in some great challenges to make this 100 interactive and funny!! contestants are competing for prize packages starting at $200 in cash. the show is 75 minutes of fun! !